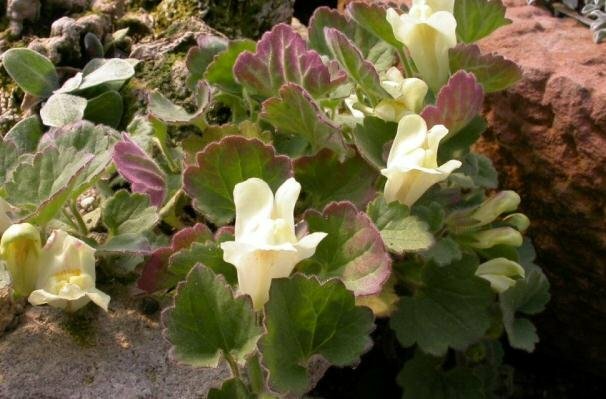 Asarina usually described as Maurandia is a small genus of climbing perennials with evergreen foliage and very attractive flowers of purple, white, blue, yellow and white colors. Flowers are trumpet shaped and bloom from late spring till late autumn. Suitable for hanging baskets, balcony gardens or as climbers against trellis and walls, Asarina are quite easy to grow. They require regular watering in fertile but well-drained soil, and bright sunlight to flourish. Most of the species grow quite well in cold climates where they are provided shelter from heavy frost. Asarina can be grown from cuttings planted in summer. Asarina is commonly known as Creeping Gloxina, Climbing Snapdragon or Mexican Twist.